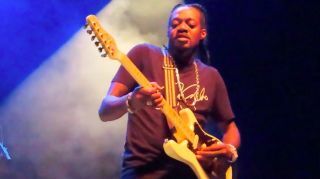 Eric Gales Shares New Song, "Whatcha Gon' Do"
The guitarist's new album, 'The Bookends,' is out February 8. Just how good a player is lefty Eric Gales? Check out this episode of Dunlop Sessions, which was posted to Dunlop's YouTube channel June 1.